Matt first went to school for architecture and graduated with a business management degree. He became passionate about preservation during this time, learning about wood restoration, how to assess old buildings, testing masonry, painting, wall paper, etc. (He also says the Art Institute has some of the best classes available for people interested in learning more about preservation.) Since then Wolf has become an expert on restorative materials leading the company into a new era of education on the subject for their customers. One of his most passionate topics is the importance of lime mortar applications for restoration projects. One of the biggest differences between cement and lime mortar is that cement gets very hard very fast, and lime mortar takes a very long time to set. There are 7 different types of mortar differentiated by their hydraulic properties – the degree to which lime works with water to grow crystals and get hard. The more hydraulic mortar is, the harder and faster it gets hard. Natural Cement – Developed in New York and used to build the Erie Canal, lighthouses, and other structures. Matt is committed to the belief if a building was built with lime mortar, it should be rebuilt with lime mortar. 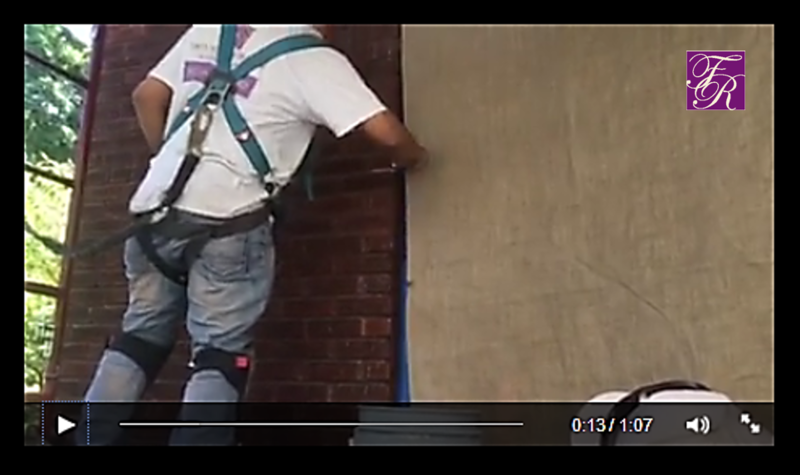 “With restoration, lime mortar breathes better – but you don’t want it to go through the brick. If you have an 1840’s lime joint and you repoint with cement mortar, it could be harder than the original mortar and brick. When mortar joints are stronger, age and the elements could damage the brick. This is because moisture gets trapped and breaks down if you use cement mortar. This entry was posted in Chicago, Historic Landmark, Home Renovation, Lime Mortar, Masonry, Preservation, Restoration and tagged Building Materials, Cement, Chicago, chicago masonry contractors, evanston masonry contractors, Fortune Restoration, Henry Frerk Sons, Lime Mortar, Lime Putty, Masonry, masonry contractors oak park, Preservation on August 4, 2015 by admin.